Dissolve the distractions of ego to find our authentic selves in God. 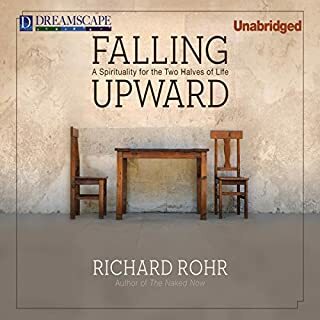 In his best-selling book Falling Upward, Richard Rohr talked about ego (or the False Self) and how it gets in the way of spiritual maturity. But if there's a False Self, is there also a True Self? What is it? How is it found? Why does it matter? And what does it have to do with the spiritual journey? This book likens True Self to a diamond, buried deep within us, formed under the intense pressure of our lives, that must be searched for, uncovered, separated from all the debris of ego that surrounds it. In a sense True Self must, like Jesus, be resurrected, and that process is not resuscitation but transformation. Immortal Diamond (whose title is taken from a line in a Gerard Manley Hopkins poem) explores the deepest questions of identity, spirituality, and meaning in Richard Rohr's inimitable style. 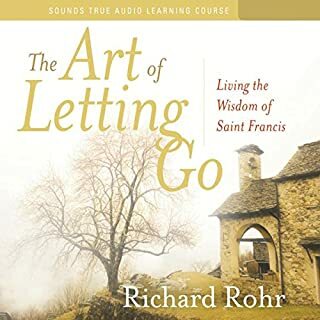 ©2013 Richard Rohr (P)2012 Audible, Inc.
Oh wow! I love this book. If you are a "thinker" and like to look at traditional beliefs from a fresh perspective, this will enforce a lot of what you have thought in quiet times of reflection. As per his usual style, Richard Rohr says things may not please the instituitional relegious bodies of our century as he steps back to question what we are told to think. He points out things like in certain centuries the focus was on different kinds of sins, such as the sin of usuary (loaning money at unethical interest rates), and how church - ianity forces group think and puts more importance on membership than on spiritual growth. He even quotes one religous authority who, when questioned about certain things, said he didn't have time to think about that, he was busy running a church! Clearly some ideas some people will want to squeltch before they catch on! Some of his ideas in this book are down right revolutionary if people listen closley and take the time to really contemplate what he is really saying. It's not a casual "feel good" kind of read, but something to pay attention to that can really change your world-view. I was surprised to see the negative reviews, and think much of those come from people who listen to Richard's books being used to his voice and his presenation style, and find hearing these ideas delivered by an emotionless professional narrator not to have the same impact. I felt the same way as first being disappointed that I didn't hear that familiar voice, but you'll get passed that if you really listen to what is being said. Another great book by Richard Rohr. Thank God there are people like him who are not afraid to speak out and state what some may think are radical ideas. He not only points out that the emperor has no clothes, but backs it up by describing the various body parts that are in plain view if people would take the time to look closely enough. I love Richard Rohr. He should have narrated this book himself. The voice used is lifeless. For most people, the book is going to fall on one of two ends of the spectrum for people.... Either you are going to find the book truly uplifting, life changing and/or affirming or you are going to be unable to appreciate the book in any way, shape or form. A small subsection of people are probably going to be like me.... on the fence on this book. Firstly know that this book is first and foremost completely and utterly of a SPIRITUAL/RELIGIOUS nature. I did not know this when I originally got the title and I can assure you probably wouldn't have gotten it if I had known. I seldom, if ever, venture into this particular type of books for a number of reasons. If you are into these types of books and specifically you are a Christian, this book will be absolutely perfect. 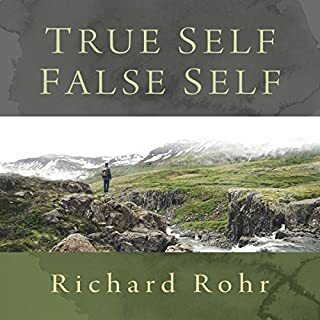 The author, Richard Rohr, was able to draw on biblical verses as well own life experiences to bring across his point regarding finding one's 'True Self'. He goes into defining what he means by this and also what he means of 'False Self', as well. The entire book speaks highly of 'transformation' and speaks a lot of the 'soul', 'love' and 'God'. The book has a number of ‘gems’; moments that made me really sit back and think. That being said there is a lot of 'God talk' which might just be where the book will lose a lot of people. And the God talk does increase as you proceed into the book, especially when you get to the Appendixes at the end of the book (you have at least 5 or 6 Appendix I believe). For those who are atheist, anti-Christianity or anti-religion in any way they will find this book completely annoying, uninspiring and the very narrator will seem irksome to them. Veer far from this title if you are in any of the previously mentioned categories, simply save your credit and your time. The book was pretty short and to me flew by quickly (I literally spent just one day to listen the entire thing). I found some useful things in the book, some interesting sections that had me think a bit more. There were also sections that I found completely irrelevant and essentially common sense. I wasn't bowled over by the book, I did enjoy the narrator though, and he did a good job to keep me interested through the title. This is simply one of those hit or miss books. It's very pigeonholed if you ask me. It was mostly miss for me, but the hits were good enough for me to not be too vicious while reviewing. This is best read in the context of two other of Rohr’s newer books, The Naked Now and especially Falling Upward (also available on Audible). The three books form a culmination of a spiritual master’s teaching. Rohr has been speaking (and thinking) widely and in audio since at least the mid 70s. Situate this in the emerging church tradition, and even deep ecumenism. Are the not-so-positive reviewers right or wrong? Rohr’s wise saying applies: “It’s not either-or but both also.” Other reviewers make good points. If read carefully, however, this is not a feel-good new agey uplift. It comes from a particular tradition but speaks to many traditions, including Jungian. The richness of this diamond may not be apparent if it’s your first glance at Rohr. Rohr does use Christian scripture quite frequently in this book, and there are probably two solid reasons for this. Spiritual teachers such as Thich Nhat Hahn use their own traditions most frequently because that is the authentic way to proceed. Despite Rohr's criticism of the narrowness of much of contemporary Christianity and Catholicism, Rohr has not turned his back on the tradition that formed him –either the parts useful for the tasks of the “First part of life“ or the more mystical veins that speak to the tasks of the second half. Rohr has amply demonstrated his roots in deep ecumenism in the body of his work. A second reason for the grounding in Christian scripture here may be that Rohr is often criticized by those in his own tradition –especially literalist Catholics – so perhaps he is trying to situate his teaching as orthodox to that audience also. 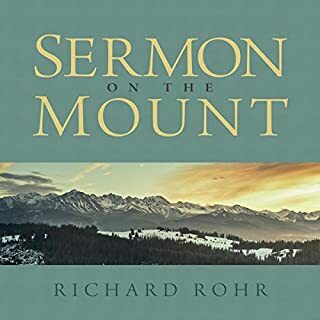 As for narration, it is better than average for nonfiction, but I am among those who love Rohr so much that I would prefer his reading, If you are considering another Rohr download. He is a teacher-preacher-synthesizer of ideas, and his recorded live talks are FANTASTIC – his reading however (and even someone else reading him), is probably enjoyed by those who already love him. Try one of his more recent live talks - several of which are available on Audible - and many more directly from his Center for Action and Contemplation. What other book might you compare Immortal Diamond to and why? The other books of Richard Rohr. He tends to tell the same story in different ways. Who would you have cast as narrator instead of Kevin Pierce? Biggest mistake of this production. Was Immortal Diamond worth the listening time? Would have been better, if they kept with the formula and let Richard Rohr narrate his own book. Love is stronger than death, even stronger than hell. There is no such thing as the perfect life, the perfect situation, the perfect marriage, the perfect person. This is not easy to accept, the acceptance of your true self which is revealed to you whenever you put your defenses down. How long oh Lord? How long will it take for me to completely understand your transforming love for me and for everyone? How long before I can step out into your world and give of my true self and not just my false self? When I believe I have it all together, is really when I have lost the true way which leads to you. So I move down into the abyss of my false self and try to get out of this hole by my own tactics, when all I really should be doing is letting go and letting be and surrendering to your love. I have been doing this song and dance for over 4 decades, how is it possible to become free of my (false self) and reach out to my (true self) my very own nature ? Richard Rohr gives us a little peek into the transformed true self. But let’s not throw out the baby with the bath water. We will always have both selves, it’s a paradox, we have been given both but the true self, what Richard Rohr calls the “Immortal Diamond” has been buried within. For some deeply buried, for others who have been on the contemplative path a little less but let us not fool ourselves in thinking that once you have found some inklings of your true self, the search is over. It will never be over, it is eternal. Let’s face reality, most of us are looking for a balanced life, who wants to be “spiritual” without being “human”. Jesus was the Incarnation of God, the true self. You might say perfection but what does it mean to be perfect? If you were brought up in the 1940’s & 1950’s, you were most likely following the status quo; your parents, their religion, their government. Some of us in the 1960’s & 1970’s tried to break away from the status quo. Many left their vocations, their homeland etc. The search was in full swing. My parents moved our family to Florida in the late 1950’s in pursuit of happiness. At this time I was 16, the oldest. There were 7 children & a brother born in Florida. This move turned out to be very devastating for all of us, it changed the course of our family life. We can’t run away from our true self, it is always there beckoning for us to pay attention to the little details of our self and they are very subtle, we have done a good job in burying our true self and the longer we deny this true self the longer it will take to resurrect it. Unless like Saint Paul you are given a mystical experience and you turn your whole life around. It’s a good thing that Paul had a strong sense of his false self, he needed this to withstand all the inner suffering that this conversion was calling him to acknowledge. St. John of the Cross calls this “The Dark Night of the Soul”. Teresa of Avila went through a 20 year period of this darkness, as well as Mother Teresa of Calcutta. Most of the darkness is coming to the understanding of our imperfections, which Saint Therese of Lisieux explains in her autobiography “The Little Way”. We are not being asked to give up our lives for the sake of the kingdom, we are being nudged to get out of our own way, to give up what is getting in the way of our inner growth. We are dying inside, let us face the darkness, acknowledge that it is there inside all of us and pray for the grace to overcome, to be a resurrected people and to build the city of God. God has led me to it. He can lead me through it. I would rather have hear Fr Rohr's as the narrator but still was very impressed with this book. Very sobering and hard to take and implement in my life but at the same time it rings so true to me that I know I have to buckle down and try. Fr Richard's comment on the Emmaus story, "How you are present to others is how you are present to God.". This statement is a diamond discovery for me. I wept as I read it. I just finished the book which I read along with listening to it on Audible. I know that God is stirring it all around in me, mining for gold. I would recommend the book and the class! 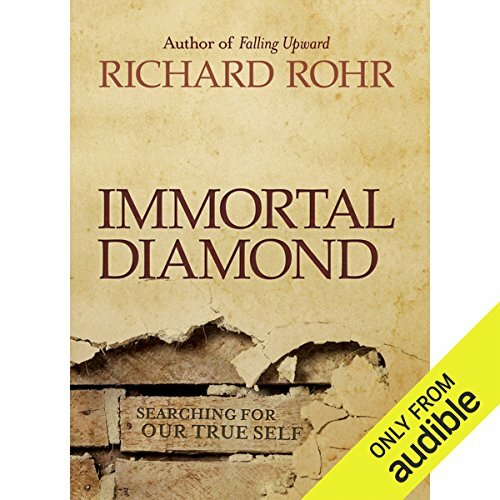 Would you consider the audio edition of Immortal Diamond to be better than the print version? I have not yet read the print version although I have ordered it. I listened to this as my morning meditation while riding the bus to work and it gave me lots to think about and be challenged by. 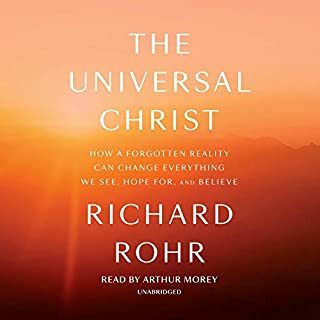 I think I would have preferred Richard Rohr's reading of it although I did eventually get used to Kevin Pierce's voice. It's not a "story" but a challenge and spiritual awakening. What aspect of Kevin Pierce’s performance would you have changed? I think that, in his attempt to be really clear and flawless, Kevin sounded too stiff and robotic. However, it was not as disturbing the longer I listened to him. Definitely not - too much to reflect on! There is a gem in almost every paragraph! Lots of "aha" moments. Read it! 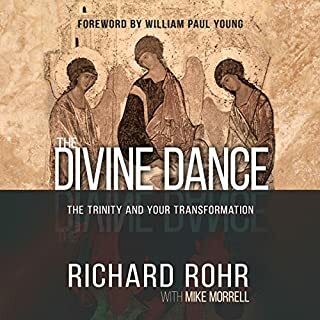 I have ordered extra copies to give to friends and I plan to read it to my husband each night, as I have been doing with Falling Upward, another Richard Rohr book. This book opened my eyes to God and the world around me. It answered many questions I had from biblical reading. My recommendation is that AUDIBLE re-record the audible version, with the voice of Richard Rohr himself. The content of this book is too important to let the reading of it hinder its message. Please do let me know if and when you do this. It may seem unfair to criticise the narrator at the expense of the book: 1) The book continues Richard's fascinating and encouraging exploration of the True Self/Soul or whatever we choose to call it, literally inspirational. 2) Unfortunately the medium is the massage and this reader mars the message; perhaps time constraints prevented Richard reading his own work? This reader mangles Julian of Nor-Wich, and his Theilard de Chardin defeats him, he was not up to the subtlety of the writing. Would you listen to Immortal Diamond again? Why? Fresh insights each time I have listened. This has changed my thinking. The challenge / Invitation to participate in the journey of faith and to experience God rather than just to think about him/her. No. it requires reflection on the themes explored. I took a chapter at a time. I also bought a hard copy for further study and to have access to the index, notes and references. Excellent book for general audience! I’m deeply grateful to Richard Rohr for being unafraid to speak the truth. The Gospel message has not been preached. Instead fear and guilt and control have been our experience in religion. He has beautifully brought the truth to our attention in this wondrful book. This book is a diamond. This book ia an another marvellous pearl of wisdom from Richard; showing us the treasures we each hold. As always it is in common language brought simply to attention. Respectful of the narrator, but my persoal preference is to hear Richard speak. I didn’t like the narrator. It had no rhythm in narration. It felt flat and continuous like someone talking and not breathing. I prefer Richard Rorh’s narration. It’s passionate.